The practice operates a system that allows you to obtain a prescription for regular medication without seeing a Doctor or a Nurse. NB. Prescriptions will not be issued if a medication review is due. If you wish to register for SystmOnline you first need to visit the surgery bringing one piece of photo identification. The receptionist will then apply for your online account and you will subsequently be sent a Registration Letter with your User ID and PIN Number enabling you to access the online appointment and prescriptions system. You may also ask your Chemist to order the same medication again on a monthly basis when you pick up your prescription. The Dispensary located at the Surgery is only available to patients who live outside of Oundle, Ashton and Elmington. These patients may pick up their medicines whilst at the Surgery between 8.30am to 12.30pm and 1.30pm to 6pm weekdays or may order by phone in advance on 01832 275237 between 9.00am and 11.00am so that they may then pick up the prescription two working days later. 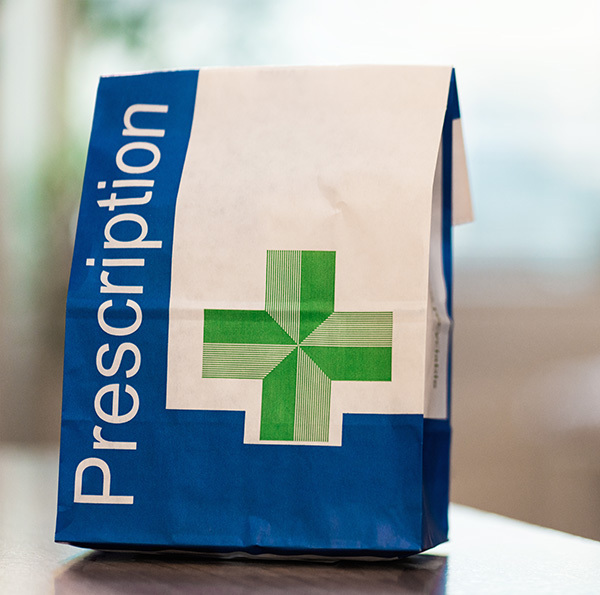 If you live in the villages of Elton, Warmington, Barnwell or Aldwincle you may ask when ordering your prescription if it may be delivered. We operate a limited delivery service to these villages where prescriptions may be picked up from community points such as shops or post offices.